So after transporting a bike and banging the hatch from the inside, the door ajar light has been illuminated, even after shutting and latching the trunk. I've been having starter issues since then, which I believe are due to battery drain. I was wondering how to go about locating the sensor, or if I have to replace the latch, and if there is a fuse I can pull so the door ajar light to go off at least temporarily so my battery doesn't die. Also, perhaps related, but my trunk light works but turns off if the trunk is fully opened- when it's unlatched and slightly open the light works fine. 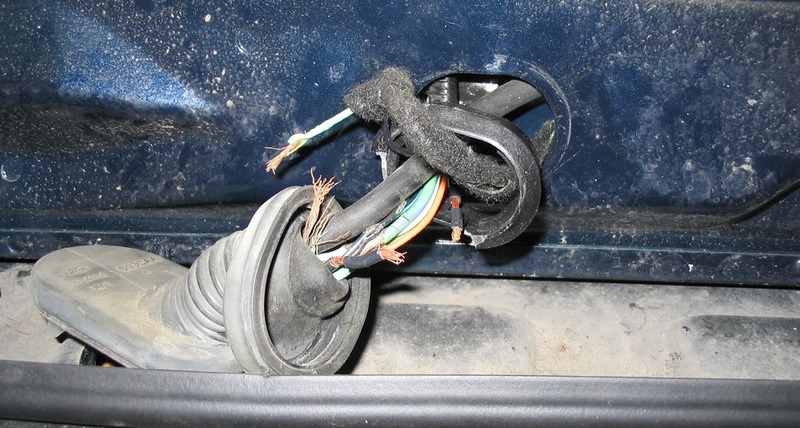 The common broken internal wires in the harness at the hatch hinge point issue may be why the light goes out. Sensor is likely part of the latch itself (inside). If fuse yanked you lose everything else the fuse covers, usually more than one simple little light. Yank bulb instead. amc49 beat me to it. 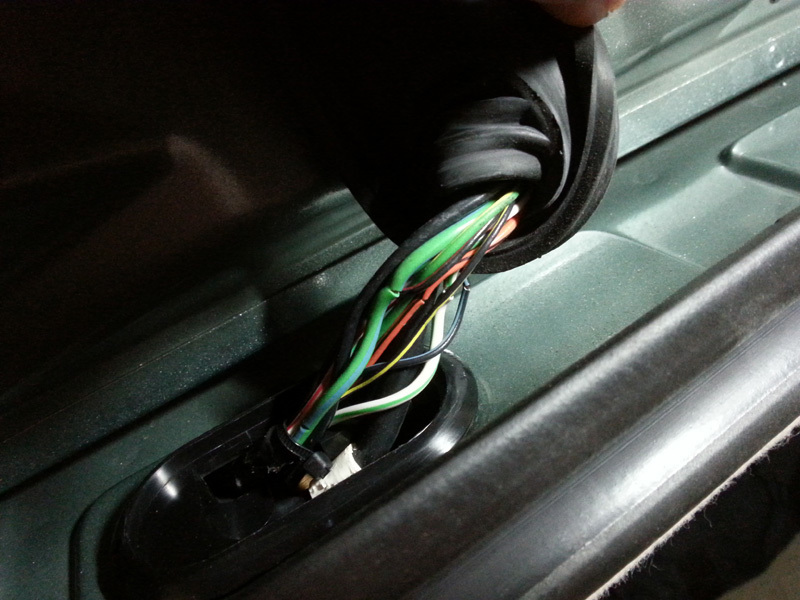 I was also going to recommend you check for broken/chafed wires where they flex at the hatch hindge point (very common issue on all Focus). I bet you will find your issue there. Alright I got at the latch and it seems that it now can tell the car it's closed, so the door ajar light is off, but the trunk light still isn't lighting. I'm happy that issue is gone, but I wish I knew what caused it. I'm going to replace the bulb tomorrow, and hopefully that fixes it. I inspected the flex hose at the hinge and it looks to be in excellent condition tbh. Is it possible the wires could rub themselves apart inside the hose? You need to pull out the grommet to really look.